In each race, participants always strive to be dropping his opponents mentally. One common way is to create a vehicle design that makes it looks grim, like this one. 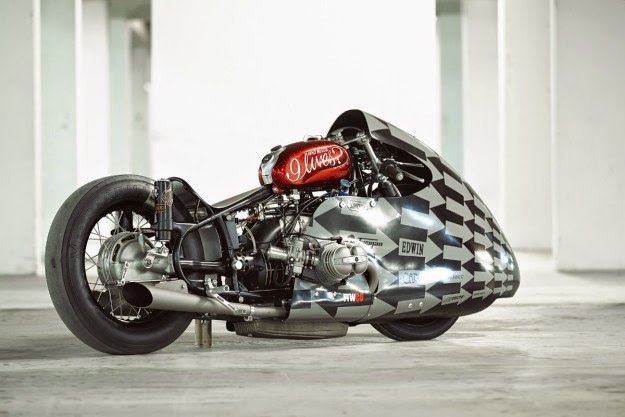 As reported of Bikeexif on Monday, April 20, 2015, The Lucky Cat Garage modified motorcycle repair shop owner, Séb Lorentz which originally used to handle repair old BMW motorcycles. He then got the idea to make the racing version of the motor used is often used for the war. By Séb, the motorcycle is named Sprintbeemer. However, many of his friends have dubbed this bike as 'Drag King'. 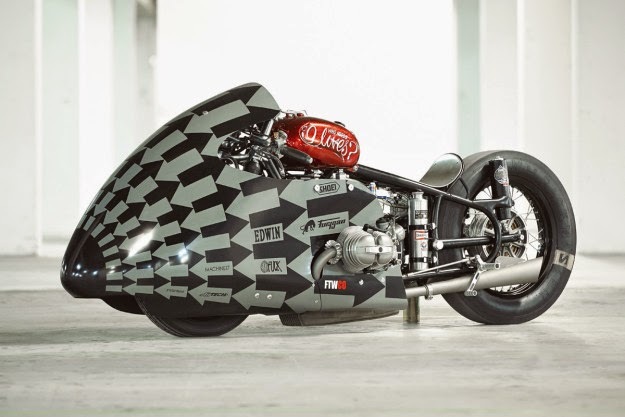 Appropriate nickname, this bike is specifically built to be used in drag race event as far as 402 meters. In the Glemseck 2013 event, this bike was ranked the first. Now, Séb back to make the modifications to improve the power, in order to compete with other motors. The BMW R100RS engine which has a capacity of 980 cc gets a new intake valve is larger, which has a camshaft opening angle up to 336 degrees and measures 40 millimeters Dell'Orto carburetor. To channel the engine power to the rear wheels, selected BMW R100R transmission combined with the clutch plates made of ceramic. The inside of the machine also overhauled, including a special racing pistons, cylinder heads R100GS and four plugs for the second cylinder. 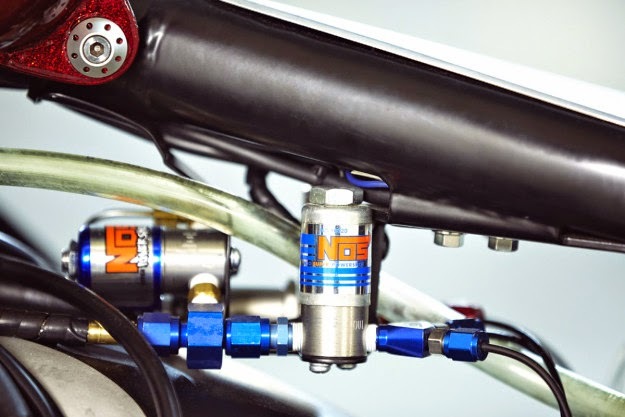 It combined with NOS (Nitrous Oxide System) features, this bike is claimed to have 25 percent more power than before modification. The entire electrical system is regenerated, because the original alternator removed to lighten the work of the machine.